When LA’s iconic sunny weather turns to a downpour, it may seem like staying inside all day is the only option. However there are plenty of exciting ways to spend your time in Los Angeles that don’t involve being drenched by the cloudy skies. 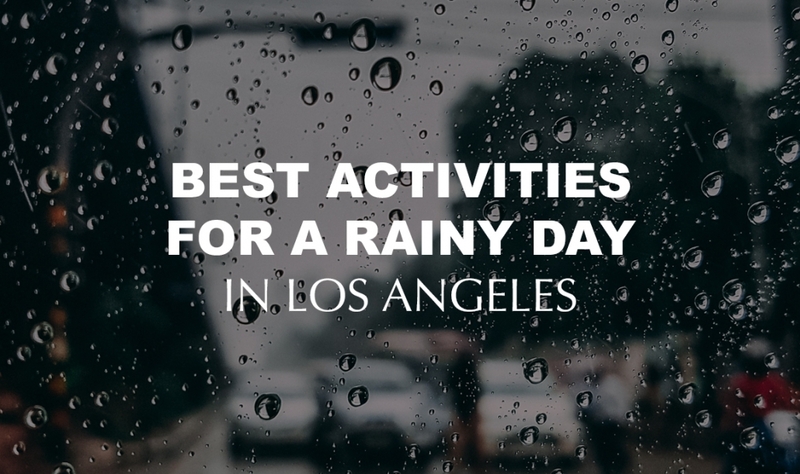 To help you through LA’s drizzly season, here are 10 of the best activities to do to keep your spirits up. Los Angeles has an incredible number of world-class museums scattered throughout the city and beyond. Just about any neighborhood you visit, there’s a museum only a short drive away. Many of these museums take advantage of Los Angeles’ normally warm weather with indoor/outdoor designs, but if it’s cold and raining, there are plenty of indoor spots to check out like the Broad or MOCA. 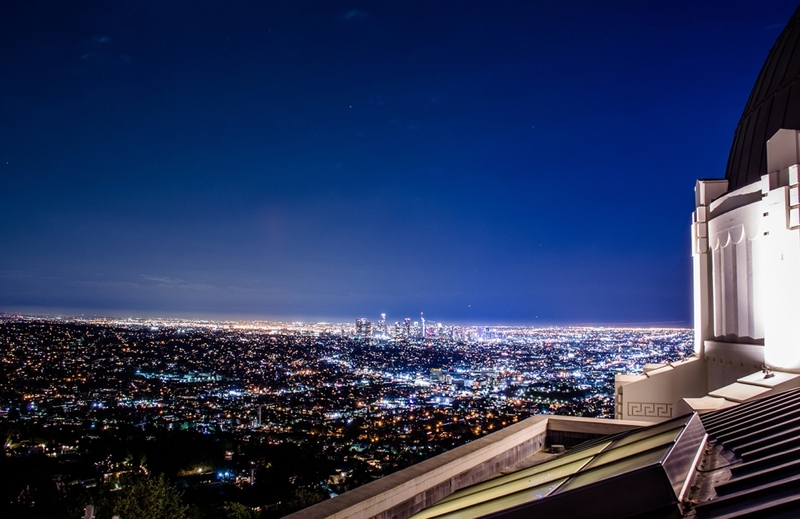 As one of LA’s most popular attractions for locals and tourists alike, Griffith Observatory not only has great views of the city, but is also one of the country’s leaders in public astronomy education. Join a loved one or a few friends and head up Mt. Hollywood to view Griffith’s telescopes, astrological exhibits and beautiful grounds that are open to the public every day. Pho is the ultimate rainy day food with soup, noodle and plenty of mix-ins to warm you up on a cold day. Places like Viet Noodle Bar will serve up a bowl of warmth in the city, or head to Alhambra for locations like Golden Deli that’s a staple for LA’s pho lovers. You’ll be able to grab some delicious Vietnamese stew to warm you up and make you forget about the stormy weather outside your window. After loading up on a pho dinner, head over to the Staples Center in Downtown LA to catch a Lakers or a Clippers game. You’ll enjoy an exciting and warm indoor activity without being bothered by the rain–you won’t even hear it as you’re cheering along with 20,000 other screaming fans. If getting your heartrate up is more your speed, there are numerous indoor fitness options to give you a workout along with a fun, new experience. Rock climbing gyms like Rockreation in West LA offer huge indoor climbing walls that accommodate experts and novices alike. Need to relax after hitting the rock wall all afternoon? There are tons of spas and full treatment centers around the city, but one of the best is offered by the Ritz-Carlton in Downtown LA. With 8,000 square feet filled with steam rooms, massage tables, relaxation pools and more, it’s a definite must for anyone who likes to be pampered. Marked as the tallest building this side of the Mississippi River, the Wilshire Grand Center in Downtown Los Angeles is a extraordinary landmark for locals and tourists alike. If you’re not squeamish with heights, you can go up to the 70th floor for free and take in the scene through the glass walls that offer a completely uninterrupted view of the city. There’s also a bar to have a drink and relax, and calm any nerves about the towering heights. Their bathrooms are also a notable sight as well, with panes of glass in the mens’ room offering a view straight down to the ground. As one of the best and longest-operating aquariums in the Los Angeles region, the Cabrillo Marine Aquarium offers a fun and educational indoor day to escape the frightful weather outside. The Cabrillo Aquarium has offered marine-related education for over 70 years, so you can be sure you’ll be enlightened by plenty of under the sea knowledge. If you know you’ll be in Los Angeles during the rainy season, consider planning ahead and snagging yourself some tickets for a studio tour or a show taping. Universal Studios well-known studio lot tour will give you an inside peek onto the sets of your favorite shows, and you might even be able to see one being created if you take a tour at Warner Brothers or Paramount Pictures. We can’t forget about everybody’s favorite way to unwind–some good old fashioned retail therapy. 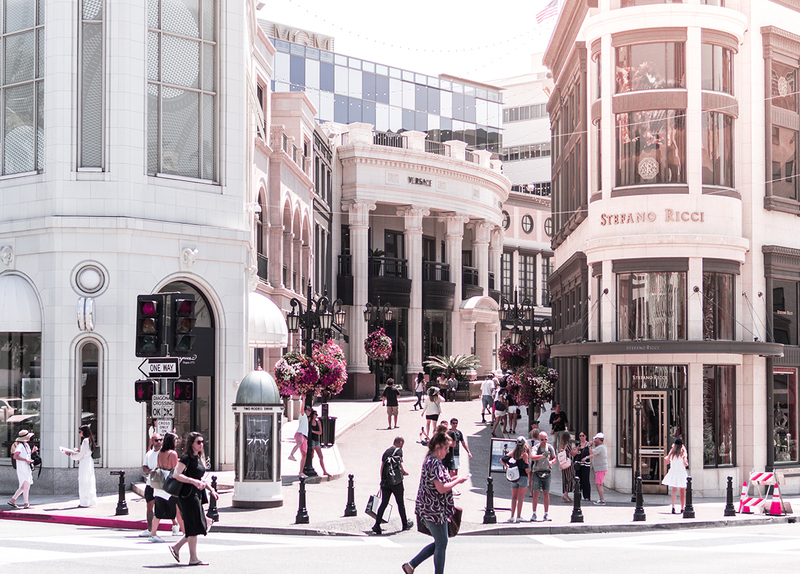 LA has world-class shopping destinations such as Rodeo Drive, The Beverly Center and Melrose Ave. What’s more fun than taking some time for a little retail therapy?